A Sherlock Holmes–style adventure featuring the egotistical and eccentric R.F. Jackaby and his bewildered but invaluable assistant, Abigail Rook. Inspired by her father’s paleontological expeditions and frustrated by her mother’s expectations of femininity, Abigail arrives in the New England city of New Fiddleham with a suitcase of inappropriate attire and a need for money. She finds employment with the oddball supernatural investigator Jackaby, whose previous assistants have met unfortunate or fowl ends (literally). Aiding Jackaby, flirting with the secretive Detective Charlie Cane, and trying to avoid the wrath of Chief Inspector Marlowe and Commissioner Swift, Abigail discovers that the world is stranger and more dangerous than she ever imagined. 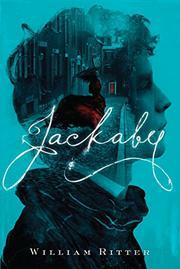 Although Abigail is not a seer like Jackaby, able to pierce the glamour of New Fiddleham’s fairy-tale and folklore inhabitants, she learns that to “see the ordinary is extraordinary indeed.” Abigail’s attention to the everyday serves as a foil to Jackaby’s paranormal perception and makes her a refreshingly realistic and agreeable heroine. Secondary characters—including Jackaby’s house—are equally enchanting and well-drawn. Ritter’s debut skillfully blends science with the supernatural and balances whimsy with violence. The smartly paced plot wraps up neatly, but the rich world of this debut demands sequels.